If you want to do Aspen right, Lee Bryant is the only name you need to know. Thanks to the glowing word of mouth, her stellar reputation in the community, and a brisk repeat business, Bryant doesn’t need to advertise her Connected Concierge Management Group. Accordingly, the boutique service has remained exclusive and highly personalized. And Bryant wouldn’t have it any other way considering that personal care and five-star-plus service are the cornerstones of her enduring success. The onetime Senior Concierge of Aspen’s storied Little Nell Hotel, Bryant has an encyclopedic knowledge of the area, its businesses, and its endless roster of events. Most importantly, she knows what her clients may not even know to ask – and she makes sure they get it. The most beautifully appointed homes in the best locations. The most vied-after personal chefs. The most impeccably trained wait staff and maid service. These are just the beginning of what Bryant procures for her discerning clientele. Sleigh rides to remote, mountain-top restaurants. Dog-sledding expeditions for the entire family. Epic hiking parties that feature a fully catered, outdoor lunch at their halfway point. 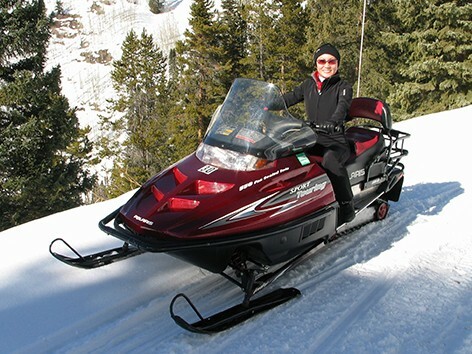 Snowmobiling trips to secret, out-of-the-way destinations. When it comes to all that Lee Bryant’s Connected Concierge can procure for you and your family, the sky really is the limit.